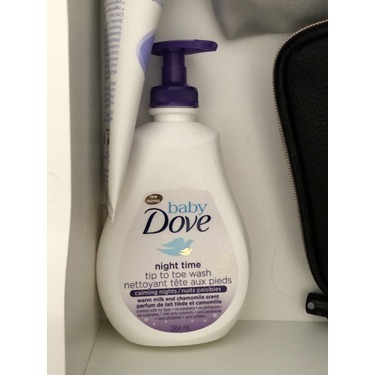 Baby Dove Calming Nights Tip to Toe Wash is specially formulated with a warm milk and chamomile calming scent to help baby relax before bedtime. A nightly routine of a warm bath followed by a gentle massage can help facilitate more restful sleep. Use with Baby Dove Calming Nights Lotion to nourish skin as baby sleeps. Le Nettoyant tête aux pieds Baby Dove Nuits paisibles est spécialement formulé avec un parfum apaisant de lait tiède et camomille pour aider bébé à relaxer avant le dodo. Le rituel d’un bain tiède suivi d’un doux massage le soir peut aider à favoriser un sommeil plus apaisant. 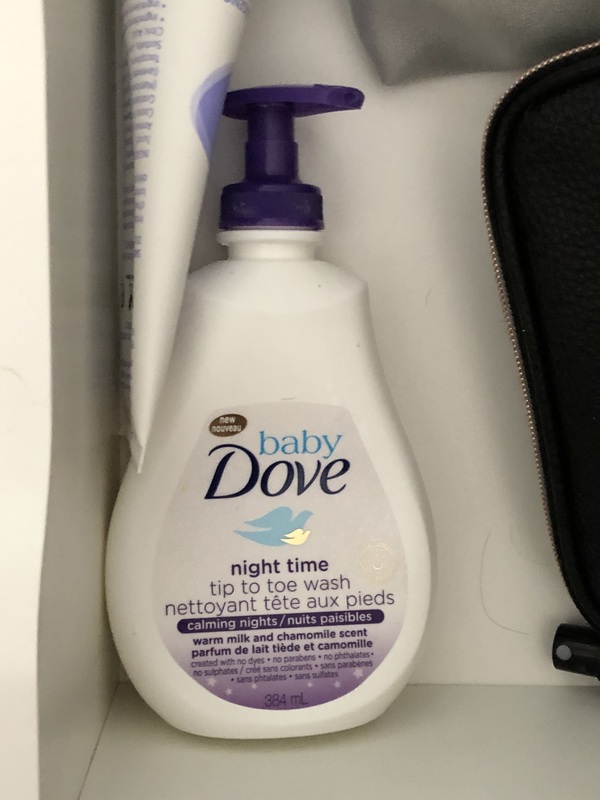 Utilisez-le avec la Lotion Baby Dove Nuits paisibles pour nourrir la peau durant le dodo de bébé. I decided I wanted to try a new baby wash for my daughter so I seen this and was intrigued Immediately! Cute purple packaging for a reasonable price. When I used it on my daughter it smelled so divine and was so gentle on the skin! It left her smelling fresh for a while and made her hair tangle free! I received the Baby Dove Night Time set and after using it on my daughter during our bed time routine (bath, massage and rub down, book and bed time) I am completely in love! The lotion is creamy and the chamomile scent is subtle and lovely. There was no greasy or oily residue on her skin after and she thoroughly enjoyed her massage. The pump made it extremely easy to use and the product is an excellent size for price. I will definitely be adding this to our permanent routine moving forward! I received this product free to try. The texture is smooth and leaves baby’s skin soft. There’s no grittiness to it making it rough to lather on baby’s skin which is nice. It has a nice and subtle not overpowering scent. Although I received it free I did look up the pricing and it is comparable to other like products. I would purchase this product in the future and I would also recommend for baby’s with sensitive skin. I would like to buy this product again and again. 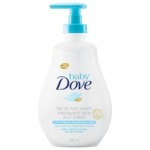 I would like to buy this product as I used already baby dove for my baby's everyday wash and lotion. 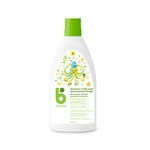 I would like to recommend this product as it works well for my baby's skin.